I love it so far! The neighborhood is absolutely great. If I could change anything it would be some updated equipment in the gym. Perhaps a new cable machine. Great location. Lots of interior work needs to be fixed on. The dog runs are gross. Other than that I’ve enjoyed living here and have been here for going on three years now. We have lived in Uptown for 2 years, and this is the best cycle of management we have experienced. The appliances, and grounds, and mail receiving process leaves much to be desired as well as the ADA accessibility of the community areas and apartments, but finally, we have office staff that listens and is helpful. We will see how long that lasts. We finally secured a first floor, 1 bedroom unit that is affordable compared to other complexes in the area, and plan to stay, but as soon as the rent becomes comparable to other luxury complexes, we will probably look elsewhere. Great location and best "value" option in Uptown. The property and units are tired and could use some improvements. Also, the hallways are dirty and need to be powerwashed. Nice residents and staff. Facilities are nice, the gym, and pool... hallways sometimes not very clean. Packages system could use improvement with notifications or keyed boxes we can access to pick up. Everything is great about this place except for the service in the office. It's a great location, service requests for my apt are answered immediately and well, and it's quiet and clean. I only wish that the people in the office were nicer and more helpful. Love the location of Uptown Square Apartment Homes. In walking distance from down town. Friendly staff and quick to help. Affordable. Definitely recommend. I’ve only lived here a little over a month but I’m loving it so far. My only complaint is that the fire alarm in my building has gone off a few times. Also I wish the callbox system was better for letting guests in. Overall, living here has been a positive experience. My only complaint would be the lack of community that I have experienced. I know there have been a few events here and there, but overall, I barely know anybody in this community. Otherwise, I love the surrounding area and I have never had issues with noise or other amenities. The office staff have also been super kind and helpful whenever I have interacted with them. It has been a mostly positive experience, and I don't really have too many complaints. I have lived here for 11 months and have enjoyed the experience. The neighborhood contains a lot of options for food and drinks to go out with friends, without having to go too far. Decent experience. Excessive noise from upstairs makes me think the construction of the building isn’t the best. Community manager is fri badly and helped out in an unfortunate situation. Will probably not renew my lease as the rent is just too expensive for sub-par finishes and amenities. This is my second time living at Uptown Square. The first time was a few years back. I came back to Uptown Square because you can't beat the location and the price. Other surrounding apartments are hundreds of dollars more a month. The apartments here are spacious, and the amenities are great. really enjoying my time living in uptown square over all. issues with the fire alarms going off have been a bit consistent and issues with scheduling maintenance to come and fix things while i'm home. however - apartment is great along with ammenities. Hello Matthew and thank you for your feedback. We are thrilled to see that our maintenance team is attending to your requests promptly and thoroughly! 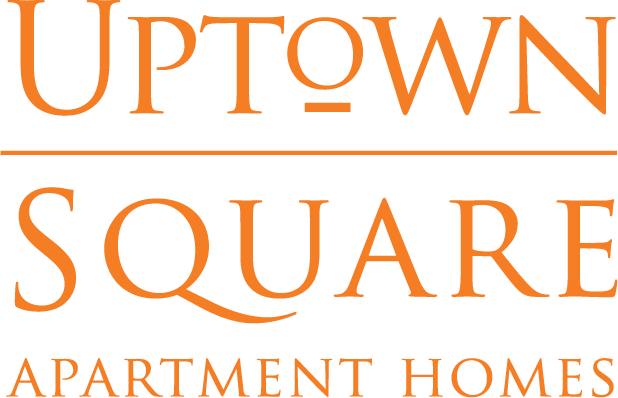 Uptown Square is a great apartment complex if you're looking to live close enough to downtown without actually being in downtown. It's very dog friendly and surrounded by great businesses. Hi Alisabeth, this is what we like to hear! Thanks for the great review. I have had a pretty good experience living here, but my main complaint is the package situation. I've lost a few packages and never get notifications when they arrive in the leasing office. I think they should get a better system like package lockers. The maintenance staff is always very prompt and friendly, so that has been a great surprise. Thank you for your review Sally! We are currently working on a new package locker and notification system that will allow you to pick up packages 24 hours a day and hopefully this system will be implemented in the coming months. Stay tuned for updates on the progress! This is the first place I've ever signed a second lease. The pool is always clean, so is the workout room. There's always room in the gym, and I work out almost every day at different times. The only thing is, the fire alarms go off a lot. Otherwise, I'm very happy living here. Especially with the garage. My neighbors are great, and the staff is super accomodating. What a great review Julie! We're excited to hear that you are happy at Uptown Square. We are currently working on a new package locker and notification system that will allow you to pick up packages 24 hours a day and hopefully this system will be implemented in the coming months. We appreciate you! Thank you for your review, Dieu! We're on top of the fire alarm issues and we will stay ahead of them as best we can. We appreciate you! I have lived in the Uptown Square Community for over 3 years. Though the units do not have the most updated amenities, it is one of the more affordable places to live in downtown Denver. I enjoy the staff, and maintenance is always quick to fix issues. Thanks for the four-star review, Julianna! We appreciate your feedback and your kudos for our team. And, thank you, for choosing Uptown Square as your home for over 3 years. I have had a really positive experience living in Uptown Square. The maintenance staff is responsive and has always solved any issues I identify in a work order. I find it easy to pay my rent and utilities online. The complex is also trying new events to build and reward our community. I would recommend it. Hi Dexter, thanks for reviewing and letting us know that you are happy. We are thrilled that you have noticed the changes that we are marking. We are all doing a happy dance. Thank you so much! Hello Elizabeth and thank you for your feedback. We are thrilled to see that our maintenance team is attending to your requests promptly and thoroughly! Uptown Square is in an awesome location. I love all the amenities including the gym which is huge! The front office staff is always friendly and helpful. Hi Rhiannon, thanks for the 5-stars for our great amenities and conveniently located community. We appreciate you!